This is the second this year in our Albany Writers Read series, sponsored by the School of English and Media Studies on Massey's Palmerston North, Wellington, and Albany campuses, and co-hosted in Auckland by the College of Humanities and Social Sciences. Our speaker Sue Orr is one of New Zealand fiction's brightest new talents. 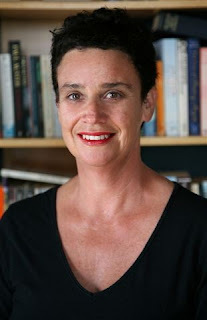 She has written two books of short stories: Etiquette for a Dinner Party (2008) and From Under the Overcoat (2011), both published by Random House New Zealand. The first of these won the 2007 Lilian Ida Smith Award, and was listed in the NZ Listener’s Top 100 Books of 2008. The second was a finalist in the 2011 NZ Post Book Awards, and won the NZ Post People's Choice Award. Sue has a background in journalism and speechwriting. She will read from and discuss her recent creative work, followed by a brief question and answer session. Sue Orr was born in Thames and grew up on the Hauraki Plains. She attended Waikato University from 1980 to 1983, where she completed a BA in History and French. She then attended Auckland Technical Institute in 1983 and studied for a Diploma in Journalism. In 2006 she completed her Master of Arts in Creative Writing at Victoria University. She has worked as a journalist in Tokoroa, Tauranga, Wellington, London and Paris. In 1996 she returned from France to work as a contract writer and speechwriter in Wellington. Her first book of stories, Etiquette for a Dinner Party, was published in 2008. It won the 2007 Lilian Ida Smith Award, was long-listed for the Frank O’Connor International Short Story Award and was listed in the NZ Listener’s Top 100 Books of 2008. Her second book, From Under the Overcoat, published in 2011, was a finalist in the NZ Post Book Awards, and won the NZ Post People's Choice Award. She lists among her favourite writers Alice Munro, Raymond Carver, John Cheever, Grace Paley, Gabriel Garcia Marquez, Richard Ford and Italo Calvino. 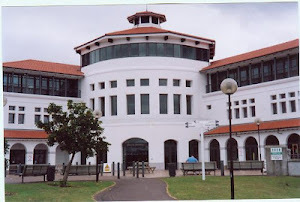 She lives on the North Shore, and is presently enrolled for a PhD in Creative Writing at International Institute of Modern Letters, Victoria University, Wellington.